New from Weise® for 2017, the Outlast® Houston is a fully-armoured waterproof jacket, with a removable temperature-regulating lining for optimal thermal comfort, whatever the weather. 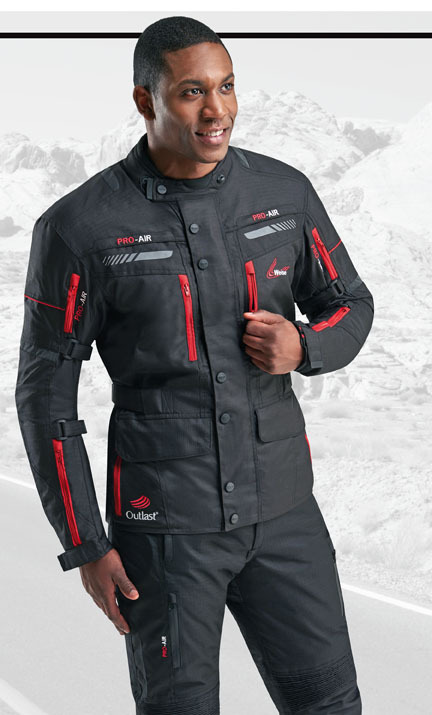 The jacket’s tough, tear-resistant rip-stop outer has a waterproof/breathable lining, which is sealed by a YKK® central zip, with a popper and Velcro® storm flap that provides reliable weather protection. 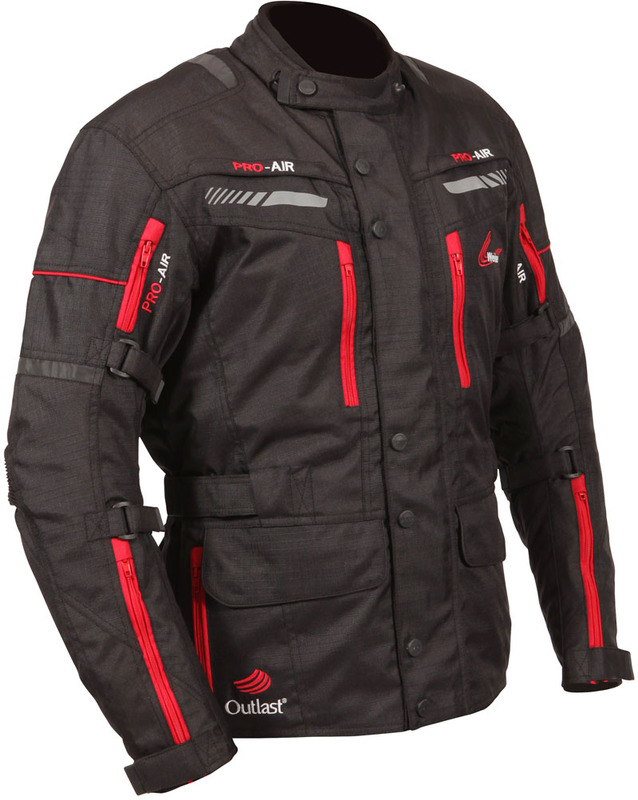 Vents on the arms, chest and back allow plenty of cooling air to flow through in the heat, while the Outlast lining regulates body temperature, helping to reduce the warm-up/chill-down cycle often experienced when riding on colder days. Originally developed for NASA, Outlast technology utilises phase change materials (PCM) that absorb, store and release heat for optimal thermal comfort. Outlast technology is comparable to ice in a drink; as it changes from solid to liquid, it absorbs heat and cools the drink, keeping that drink at the desired temperature for longer. Outlast phase change materials work in the same way, but are micro-encapsulated, so they are permanently enclosed in a polymer shell. These micro-encapsulated phase change materials are known as Thermocules™. 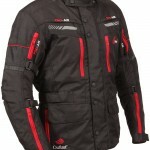 All-round impact-protection is provided by CE-approved armour at shoulders, elbows and back. 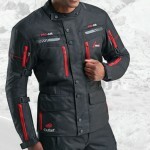 Weise have provided plenty of pockets, too – both inside and out – including a large rear map pocket.